A national leader of the All Progressives Congress (APC), Bola Tinubu has advised Foreign Election Observers who came to Nigeria for the presidential election to write their reports in peace and "go home". His words: "I want to sympathise with our friends, our foreign observers. You are truly welcome. Observe what you need to observe, write your report in peace and go home." 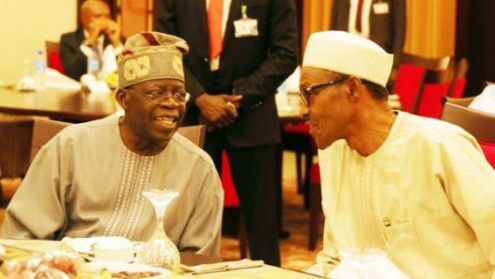 Speaking at the All Progressives Congress, APC rally in Lagos on Saturday, Tinubu said, "This is our democracy. America is still questioning its own democracy. We are watching CNN, Trump and Russia, China. "Interference in the largest Africa democracy is what we are saying. The G20 in 2007 asked President Umar Yar’Adua, what are you going to do with the election in Nigeria? The election that brought me in as the president is flawed and [he said] I will reform it..."